Geoffrey Key is one of the most widely acclaimed artists of Northern England. He is often characterised by his distinguishable style, as his original paintings have brought many art exhibits to life. Anyone who is well versed in the intricate and expansive world of art should consider the magnitude of his paintings. He is a relished creator of all things vivid, stark and daring. As a true, artistic connoisseur, he harbours a seldom observed talent in the world of modern creativity. Geoffrey Key was originally born in Manchester, England. Over the decades, he has enthralled the masses with his fervent and exquisite takes on human figures. His sense of originality is simply incomparable. To what does he owe his success? Although his talents are innate, he trained formally, under reputable tutors who were notable experts in British art and sculpture. After receiving formal training, he took a more inventive road to success while retaining what she learned in more formal settings. What Principles Can You Derive from His Art? Key subscribes to many self-evident principles, which have guided his work and fuelled its evolution over the years. His approach is coarsely unorthodox, yet, aesthetically refreshing. One framework that has always impelled his inspirations forth has been his disregard for trends and societal pressure. His works spring forth from an internal sense of ingenuity and originality, rather than conformity. Many artists subscribe to a particular movement influencing their particular era. However, Key was no typical artist and he took his creative vision to entirely new heights. He was intensely devoted to preserving his sense of artistic integrity. He never succumbed to the artistic influences lying before him. When people view his work, they take note of this radical sense of uniqueness. Many of his works are influenced by universal human concepts, including joy, love and life, three ideas with which most can identify. By instilling these relatable human qualities into his work, he adequately reflects the human condition and captivates all members of society. His work is notably distinguished from that of other artists. He often depicts human figures using more pronounced methods, which seem to project from the canvas. Long before his rise to prominence, he focused his career on landscape paintings, particularly those of the Derbyshire region. He created hundreds of landscapes, merely by using this as an inspiration. This would not be a reflection of his later works, but rather, a means of reinforcing his formal training as an artist. Shortly after this, his career began to soar and flourish. Art galleries began to acquire his work. His work was also commissioned by companies and invited the attention of the Manchester Academy of Fine Arts, warranting him a much-deserved award. He engaged in a number of pivotal exhibitions, which displayed prototypical female forms, deviating from the traditional norm. What he introduced was novel and imaginative. As he continued to conduct exhibits and travel the world, his universal appeal had a startling influence on the world around him. His emotive imagery could speak to both eastern audiences and western audiences. 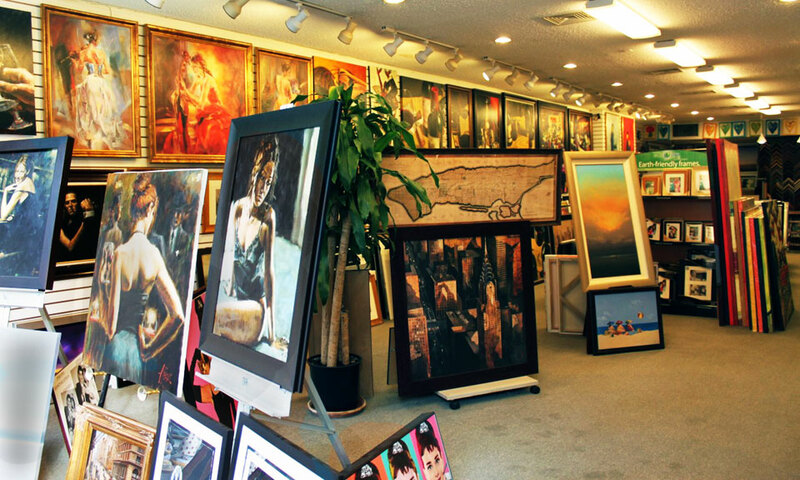 He continued to paint passionately and to display his work at reputable galleries. There are many notable characteristics that define his work. He is often noted for his amazing sense of realism, which is both palpable and expressive. His manipulation of lines and colours is fearless and projects a pronounced sense of artistry. Key’s work is interspersed with rounded, buoyant shapes, as well as stark, linear shapes. He was influenced by the historical context of post-War Britain, his work is exalted for this very reason. He has been a prime contributor to figurative art. Key has also been described as a highly adept colourist, capable of manipulating the full range of human expression using subtle and bold gradations in colour. Every human figure he depicts is teeming with potent sensuality, power, and unabashed expressiveness. His feminine figures defy the cultural norm, harbouring an innate sense of confidence that jolts the audience’s senses. All of his works, including his vivid landscapes, offers a multisensory experience. His work tugs sensationally at the human senses. However, they also occupy two polarised worlds, both dream, and reality. Key has the complex ability to navigate the realms of both fantasy and reality while remaining fully anchored in a genuine, human emotional experience. His work is romantic, but rugged, as it rarely exudes a traditional sense of romanticism. Everything he composes emits both seamless beauty and structural integrity and toughness. For instance, his landscapes embody both softness and structural depth and harshness. Key seems to deviate from literal constructions of reality, instead adopting a figurative vantage point. For instance, he often places a group of figures in front of an unlikely setting in his paintings. Hence, he is not terribly interested in making literal depictions of the world around him. He enjoys the prospect of amalgamating his own artistic world, rearranging figures in an unusual way, and reinventing reality itself. Although he has a tendency to rearrange the man-made world, he is incredibly perceptive, aiming to channel this into his work. His figurative depictions of the world do not make him any less insightful or observational than other artists. Nothing escapes his all-encompassing viewpoint. His keen perception is tailored to a novel format, one which counterbalances dream with reality. There are subtle tinges of humour and affection throughout his work, as he subtly and ingeniously reflects upon human transgression in the most empathetic way. Viewing the work of Geoffrey Key requires a palpable connection with your own sensory perceptions. Engulfing the expansiveness and fullness of his art is an overwhelming, yet, gratifying experience nonetheless. The capacity to embrace the non-literal can translate in a delightful manipulation of perspective and reality. Figures that contravene the mould of traditional beauty can give you a distinguished sense of zeal, grace and confidence. Anyone who is prepared to undertake a figurative journey down the path of human folly should view Geoffrey Key paintings in the ArtDecor Gallery.